With the announcement that rapper 21 Savage was arrested in Atlanta on Sunday morning by U.S. Immigration and Customs Enforcement, it’s safe to assume that the “Bank Account” spitter isn’t enjoying his Super Bowl Sunday. But while his arrest is concerning, it’s the reasoning that’s the real surprise—as the Atlanta Journal-Constitution reports that the alleged Atlanta-native is actually from the United Kingdom and has overstayed his visa. 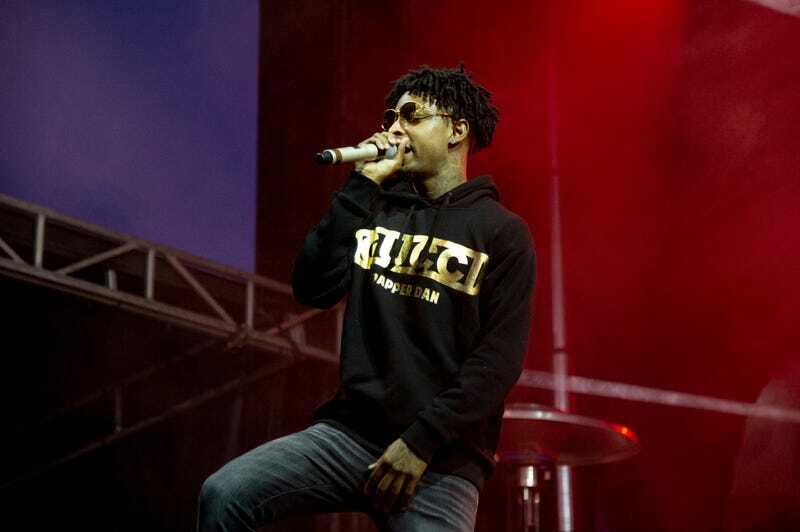 ﻿21 Savage, whose real name is Sha Yaa Bin Abraham-Joseph, was taken into custody in a “targeted operation” in metro Atlanta, ICE spokesman Bryan Cox said. According to officials, the early-morning arrest stemmed from a traffic stop in DeKalb County that included the arrest of three other people who were with him by DeKalb police. This shocking development comes on the heels of tremendous success for the 26-year-old rapper, whose latest release “I Am > I Was,” debuted at No. 1 on the Billboard 200 album chart.